It’s largely been a dry summer. And while the landscaping at Dan’s house is doing remarkably well, the landscaping at Betsy’s is shriveling and dying. The difference? Drip irrigation! Today, we sit down with Aaron Katerberg from Grapids Irrigation to talk about some DIY solutions you can implement today! We’ll also be talking with RepcoLite Sales Rep, Erick Lowing, about some common paint problems he runs into from day to day. In fact, the topics he plans to discuss are topics he’s dealt with multiple times just this week! That’s about as “common” as you can get! Tune in for the problems and most importantly, the fixes! 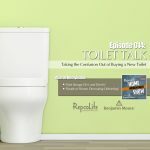 EP14 – July 8, 2017: It’s Toilet Talk Time! We know, it’s something people don’t normally talk about in social circles. It’s a topic left for the privacy of our own homes. But we’re breaking the mould and asking all the toilet questions you may have pondered. 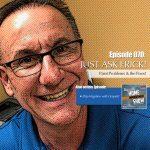 Mark DeVisser from The Plummer Is Here stops by to answer our questions and walk us through the options when buying a new toilet. The subject matter makes us uncomfortable, but the information is worth the discomfort! Segment 1: Big Impact With Painted Tile Backsplash! Kitchens are the most commonly redone room in a house. They are also some of the most costly. And there are some things you can do to change the look, without spending a ton of money. We've all heard of painting the cabinets and replacing the hardware. But there is one more project that is often overlooked, but dramatically changes the look of your kitchen. Painting a tile backsplash can really change the look and feel of your kitchen. It can make a dated kitchen feel current. And, with a little creativity, you can make your backsplash a one-of-a-kind. Check out our Backsplash Ideas Pinterest board to see what inspired us! Figuring out the perfect lighting for your home can be a challenge. But it can be more difficult as we get older. Our eyes go through drastic changes as we age and most people will require more and different types of light. 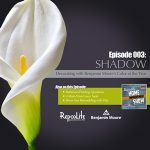 Renee Huff from The Lighting Corner in Grandville stops by to discuss how eyes change as we age and some things that we can implement to help us, or our loved ones, see better as we gracefully age. Segment 3: Don't Kick Your Patio Furniture to the Curb! Outdoor living spaces are the fastest growing segment of home improvement. Everyone is trying create that backyard spaces that every neighbor wants. And all may be perfect until it comes to the furniture. It looks terrible from sitting in the weather. It's the wrong style. You bought log furniture, but now hate it! It's an eclectic collection of yard sale finds. When people find themselves in one of the above situations they generally do one of two things: they either live with it, or they toss it (for the eclectic collector to find!) and buy new. But there is a third option that we like a lot better! It will save you money over replacing and you can make it something the neighbors will envy! You can find amazing ideas on our Outdoor Furniture Pinterest board. Segment 4: It's Toilet Talk Time! Yes, we have finally come to Dan's favorite segment of this episode! He has been dying to have all of his hard-hitting toilet questions answered by an expert plumber. And lucky for us, The Plumber Is Here! Mark DeVisser from The Plumber Is Here! stops by to answer all Dan's questions and add a few laughs. Mark DeVisser is a Master Plumber and Owner of Great Lakes Plumbing Services, LLC (or, as it is more commonly known, The Plumber Is Here!). The plumber Is Here can take care of all your plumbing needs including water heaters, faucets, tubs and showers, water and sewer hookups, drain cleaning and so much more! They service residential, commercial and new construction in all areas around Saugatuck, Holland, Zeeland, Grand Haven, Grandville, Jenison, Hudsonville, and beyond. Benjamin Moore’s Color of the Year is purple. Yeah. And we’re hearing a lot of questions in the store about how in the world to decorate with purple. Today, we’re on the phone with Hannah Yeo from Benjamin Moore. She has a TON of great color information. It’s easily one of the most interesting interviews we’ve done so far. If you have any interest in decorating with color (purple or otherwise) give this a listen! That and more on today’s episode! In this first segment, we're on the phone with Hannah Yeo from Benjamin Moore to discuss Benjamin Moore's Color of the Year for 2017. We're just letting you know: It's purple! But, of course, that's being a little too simplistic.... Benjamin Moore's Color of the Year is sophisticated, unusual, interesting, and the perfect "enabler" color. Hannah's here to explain how Benjamin Moore came up with this color and how you can easily use it in your own home. Hannah Yeo is a Color & Design Expert for Benjamin Moore, North America’s favorite paint, color and coatings brand. As part of the Benjamin Moore Color & Design team, Hannah plays an integral role in forecasting trends, developing and curating colors, and managing four sub-brands at Benjamin Moore & Co. Prior to joining Benjamin Moore in 2009, Hannah began her career at Fisher-Price as a Graphic Designer. Her background in graphic design and color gave her a unique skill set: infusing graphic design elements to communicate color. Hannah holds a Bachelor of Arts degree in Communications Design from Pratt Institute. At RepcoLite, we get tons of questions on a regular basis. Tons of questions. In our Ask RepcoLite! segment today, we focus on a couple of very common questions. 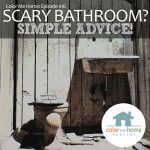 The second question gets down to the nitty gritty: "I just painted my bathroom. How long before I can start using my shower again?" Brian Stacey from Bergman Power Equipment is a lawn equipment specialist and he joins us in the studio to talk about the Must-Have Lawn Equipment Every Homeowner Needs. Some of us think we can get by with a lawnmower. Some of us feel we need a different edger for odd and even numbered days. Brian's going to walk us through the 4 pieces of equipment he feels are absolutely necessary. When we told co-workers that we were interviewing a vet for the last segment of today's show, everybody figured we meant a veteran! Nobody could imagine what in the world we were going to talk to a Veterinarian about on a home improvement show. But Betsy is both an animal lover and extremely creative and she came up with the idea of interviewing a vet about how a home remodel project can produce stress in our pets. To find out what we can do as pet owners to alleviate this stress, we interview Dr. Jim Havinga from the Animal Clinic of Holland. 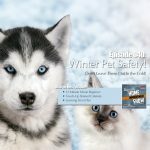 He's got some great advice and recommendations regarding how you can keep your pet safe and calm during the next project. And, after the interview wrapped up, Dr. Jim started telling us stories from his practice: A dog who rattled, a horse on the tracks, and a number of others. Betsy and I thought the stories were great and we want you to hear them, too! So we've got them below. They're really worth a listen! Sometimes spending time in our bathrooms can almost feel like we’re on the set of a horror movie. Mold and mildew growing in the corners, on the ceilings, and some bizarre, horrible oily stuff oozing out of the walls. These things are real and they’re very common. But the good news is that they’re very easy to fix! In today’s episode, Betsy and Dan talk about how you can fix the problems and, better yet, avoid them in the future! Once you’ve got all your safety gear, just mix 1 part bleach to 3 or 4 parts water depending on how bad the situation is. Then wipe the affected areas down. Or, you could put the solution into a spray bottle and spray the mold. Either way, let it sit for about 10 minutes or so and then rinse the areas with clean water. At that point, in most cases, the mold and/or mildew will be gone and the surface will look as good as new. If not, and you decide you need to repaint, then you’ll want to prime those spots with either B-I-N Primer or RepcoLite’s own ProFlo Alkyd Primer. For a more thorough discussion of all of that, just click here! One note: While Aura Bath & Spa has excellent resistance to surfactant leaching when applied to new substrates, surfactant leaching stains on existing coatings can telegraph through Aura Bath & Spa if they are not removed prior to painting. So make sure you wash the walls well before you paint! 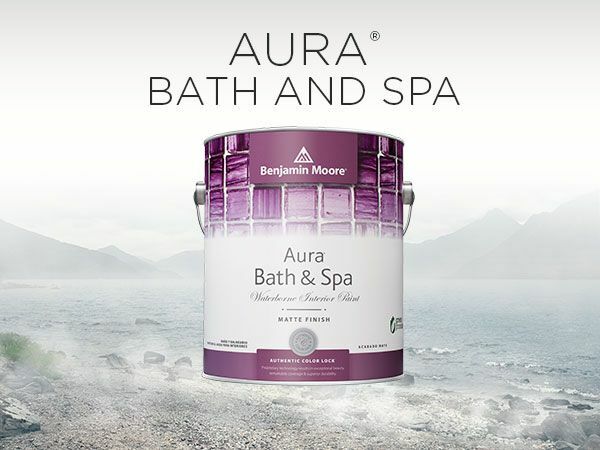 We recorded an interview with our Benjamin Moore Sales Rep, Kevin Hermann regarding Aura Bath & Spa that is worth listening to if you’d like more info. It can be found here!